Bathrooms are one of the biggest reasons for negative feedback on social media regarding a stay in a hotel or visit to a restaurant and a major factor for a guest not returning. A dirty, worn, stained, mouldy or tired looking bathroom irritates guests because this is in their personal space and cleanliness is everything. Whatever your service needs Castelan can tailor project or reactive work requirements to become a cost effective essential service requirement rather than a drain on your resources. Shown opposite are before and after images of some bath restoration work. 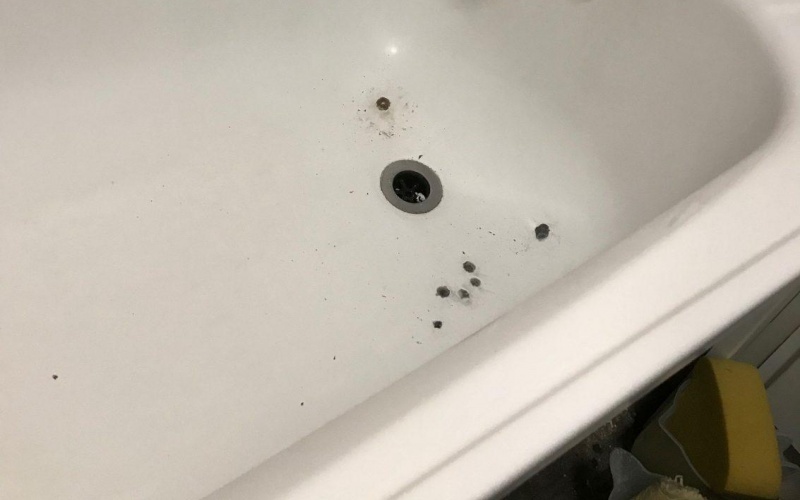 Our client had an number of bath tubs that were 20 years old and had various issues ranging from enamel chips, dirty and stained anti-slip areas. In addition, the manufacturers anti-slip was no longer effective so a new anti-slip treatment needed to be applied. 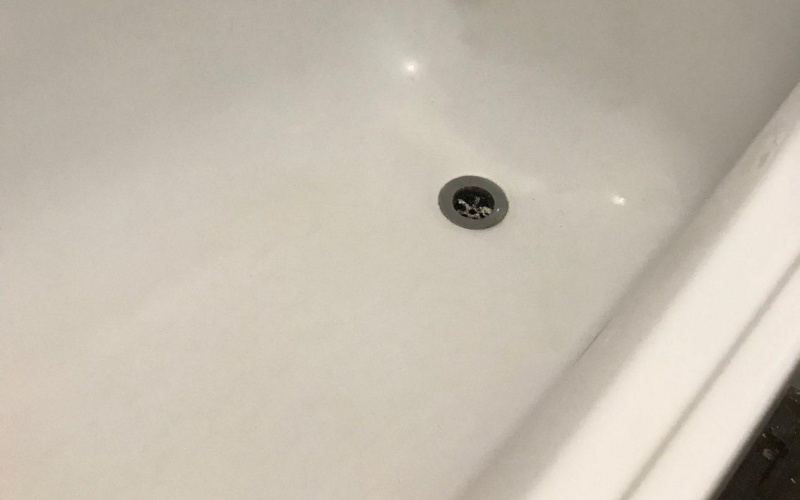 The bath handles were resprayed and the overflow and trap replaced, all making the bath tub restoration a cost effective process. If you would like to see what other commercial services we can offer your business, click on the button below to view our full range of commercial services.